Ether has recently been on a tear. After clearing the highs set this summer, it’s launched itself into the high 400's and may climb further still. I recently considered what role ICOs play in driving the price of Ether — whether higher or lower. 2017 has seen over US$3 billion invested in ICOs, with some raises totaling in the hundreds of millions. 2018 looks set to continue this trend, especially with the addition of more regulated ICOs, also known as ICO 2.0. This wave of cash sloshing its way into Ether can certainly play a role in moving the currency’s price. This is because the majority of ICOs have been utilizing the ERC-20 token. This is a standardized token that sits on Ethereum allowing companies to piggy back off Ethereum’s blockchain and infrastructure when launching their token. It has been a tremendous innovation, creating a simple and relatively low cost way for startups to tokenize. 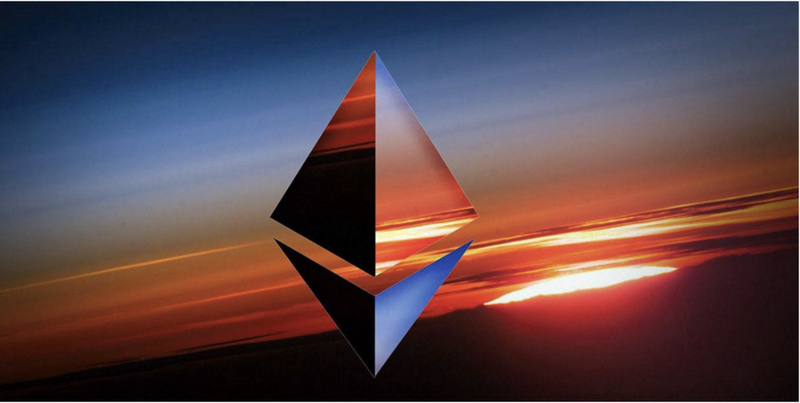 One can also build on Bitcoin, Nxt and UBIQ, however Ethereum’s platform has seen the widest adoption and has become the default option for ICOs. When investors participate in these ICOs, they first need to buy Ether. With sufficient scale, that increases demand and therefore contributes to driving the price of Ether higher. We saw this over the 2017 summer where Ether exploded 10x from about $40 to over $400 in under 2 months. Granted, some of that massive runup was due to pure speculation in Ether itself, both as a response to the price action, and also in anticipation of the massive ICO hauls that were due to come. However, hundreds of millions of dollars worth of Ether was being purchased to participate in the ICOs. This added to the supply/demand imbalance, contributing to the upward squeeze we witnessed. Having just hauled in 8–9 figures, they need to start getting to work — building out their product and network, marketing, and of course paying the founders. These expenses are largely paid for with fiat currency, requiring them to sell a portion of their holdings. If the price of Ether falls as part of regular volatility, they may add to supply by selling some of their holdings in order to protect their capital. Presumably the scale of such selling would rise if the “ICO bubble” (if that’s what we’re even in) pops. If the startup is struggling (or if they swindled their investors), the founders may bail, sell their holdings and move to the Bahamas. This is obviously a tail risk and is unlikely to occur with sufficient volume and on a sustained basis to move the price meaningfully. These actions, amongst others, can suppress Ether’s upside by adding supply. Depending on the dynamics of Ether’s price rise, some startups may hold their positions because they expect them to be worth more in the future. Others, who lack conviction in a runup, may sell into it (to cover expenses etc) with the expectation that the price rise will fade. With a healthy ICO market, this added supply would most likely be offset by added demand from investors stepping in to either participate in ICOs or speculate with Ether. With significant ICO volume expected into 2018, starting with tZERO’s ICO in December 2017 (a potential US$500 million whopper that will be relying on ERC-20 tokens), Ether is unlikely to suffer a shortage of demand. In such an environment, the ICOs become a positive source of liquidity, provide market stability, and add to the upside momentum. However, the inverse is also true, making ICOs a double edged sword. With a meaningful downturn, or if the “ICO bubble” pops, the panic will create a collective rush for the exit, including from ICO startups. Buy-side liquidity would be drained and the startups (for the sake of capital preservation) end up exacerbating the fear, resulting in a deeper and steeper dive. Disclosure #1: At the time of publication, I hold positions in Ether. Disclosure #2: This is not investment advice. Make up your own mind.